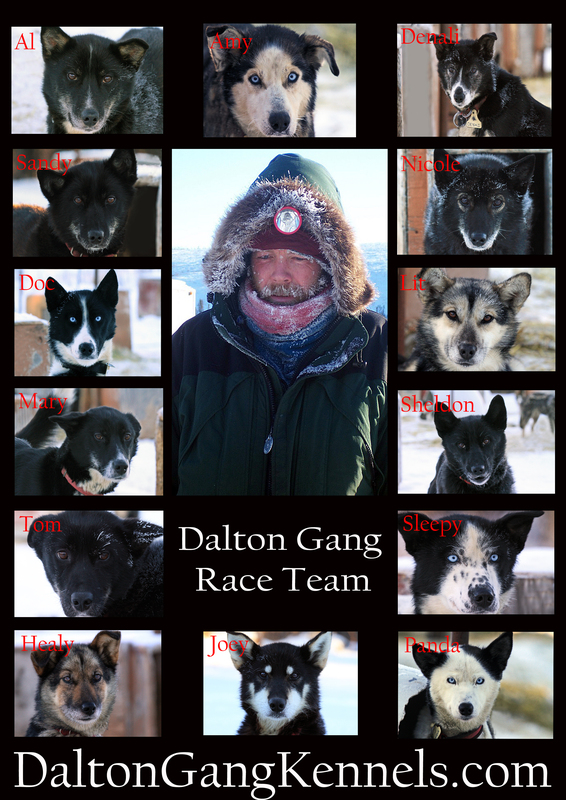 Dalton Gang Race Team 2019- Sponsor a team member! Here are the 2019 Dalton Gang Stars; like any good gang there are several members for each one you see. 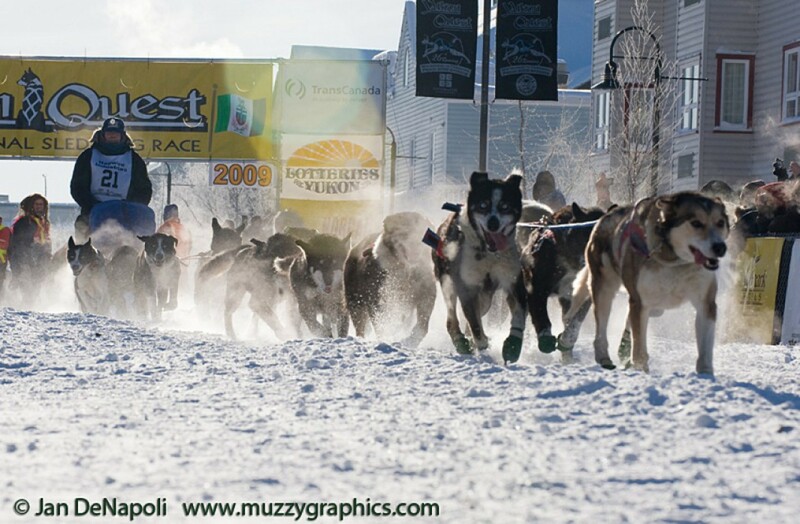 Dave has puppies, retirees, and the up and coming young-guns to feed, train, and house. The gang summers on the glacier fields near Juneau giving tourists a glimpse of Alaskan life with a sled ride on the glacier. Once the season is over they return home to Healy and swim 2 miles a day to stay cool and run 20 miles a day with the ATV to get in shape for the upcoming race season. Dave chooses which races will be run and who will be on the team.